CODES 216 THRU 221 WORK FOR RYU'S FIREBALL, GUILE'S SONIC BOOM, KEN'S FIREBALL, CHUN LI'S FIREBALL, AND DHALSIM'S YOGA FIRE AND YOGA FLAME. SAGAT'S TIGER SHOT MUST BE CHANGED BY CODES 254 THROUGH 258. 1 Only Special Moves You must have a 6-button controller for the Genesis to do this trick. At the CAPCOM logo, press these buttons on controller one in this order: DOWN, Z, UP, X, A, Y, B, and C. You will hear Chun Li say, "Ya Tai." Choose Game Start and play a one or two player game using only special moves or throws! These are the only moves that you can use in the game. This can present more of a challenge to experts of the game. 2 Same Character In Battle Mode You must have a 6-button controller for the Gensis to do this trick. 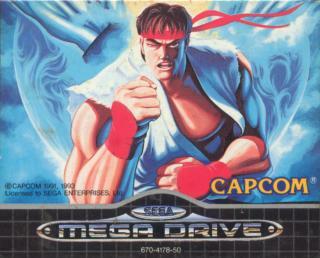 At the title screen, choose a game. At the next screen choose Group Battle. At the battle mode screen, press these buttons in this order on controller two: DOWN, Z, UP, X, A, Y, B, and C. You will then hear Chun Li's voice. After that choose Match Play or Elimination. Now, you can choose the same character to play against in Match or Elimination mode. 3 5 Stars In Champion Mode To get 5 stars in the Champion Mode of the game do this trick. When the cinema of the fighters begins, and it scrolls up the building, wait until the screen fades and only the Street Fighter II words are showing. If you have a 6-button controller, quickly press the buttons in this order: DOWN, Z, UP, X, A, Y, B, and C. If you do not happen to have a 6-button controller, you can do this trick with a 3-button controller. For the 3-button controller press the buttons in this order: DOWN, C, UP, A, A, B, B, and C. If the trick is done right you will then hear Zangief's voice. Now, on the title screenn go to the champoin option and move right, you should now be able to see five stars. 4 Configure Controller Here's an easy way to configure your controller without using option codes. Go to the Character Select Screen and pick your characters in a one- or two-player game. 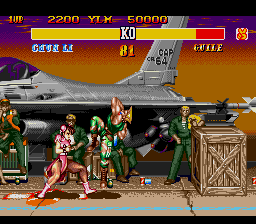 After you choose your characters, press and hold START. When you fly onto the stage, a configuration screen will appear. World Warrior) was apparently not released for the G/MD. 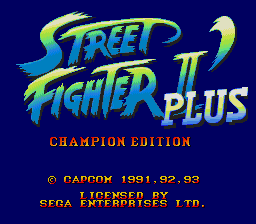 Super Street Fighter 2 was hyped cuz of its 40 Meg cart size but I didn't find it pretty much special. I thought it would stand out above the SNES version but it didn't. 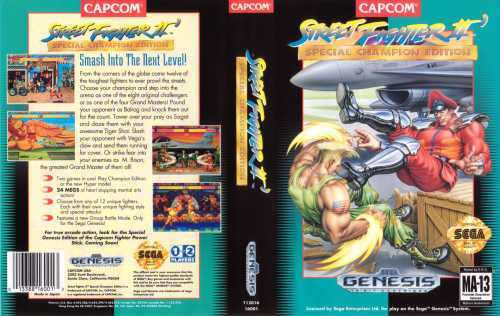 It still IS a good game, if not the best fighter on the G/MD, but being the SF-fanatic that I am, I wasn't impressed. When it came it out it was also friggin' expensive!! Soon after Street Fighter II: Special Championship Edition came out, they released the 6-button control pad. If you didn't have one, and used the standard 3-button pad, you would have to press START to toggle the 3 buttons between punch and kick attacks. This made some combos pretty much impossible to do. You can try this out in an emu: just load it up and make sure you've set the controller setting to "3-button" and you'll see! The massive delay between the SNES and this version may have cost SEGA many sales. But when it finally landed the impact was big. They crammed it in, every move, every backdrop, the differences between the arcade version are negligible. This *was* arcade@home (before MAME!). Everyone's played it, everyone's mastered at leat Ryu, Ken or Guile (or Dhalsim!). you have all the cheats, but i just got this game again and i forgot all the regular moves. I think you should put the regular moves on here too. Is there anything else that needs to be said about these games? Oh yeah, I like Chun Li best, avoid the movie (and the game based on it) and stick with the anime version of the movie (but not the series!). Definitivamente para mi es el mejor juego de peleas de todos los tiempos, si lo que buscas es un buen titulo de pelas que te deje asombrado pruebalo prque la para ser un juego tan sencillo lo tiene todo: Buena movilidad, graficos, sonido, control, combos efectos y un factor de diversion y adiccion inconparable con ningun otro titulo de peleas hasta el momento. SUPER RECOMENDADO!!! 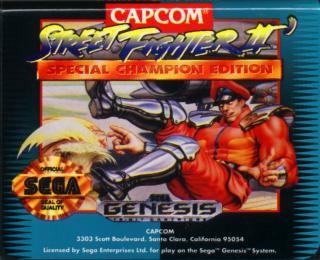 super street fighter is the bomb!! !